Eye Wash Station c/w bracket allows for fixing at a specific location. The box can be unclipped from the bracket and taken to the patient. Complete with 2 x 500ml Eye Wash Solution and 2 x No. 16 Sterile Eye Pads. 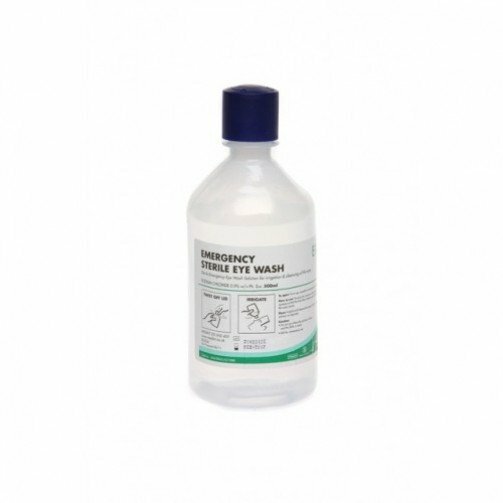 A topical sterile eye wash solution that contains Sodium Chloride BP 0.9 % in purified water BP. No other substances have been added. Has been manufactured so that its sterile and pyrogen free. For irrigation only.